Having a swimming pool is one of many homeowners’ dreams. However, there are things to do and factors to consider before diving into your own luxury pool. First on the to-do list is hiring professional pool builders. While it is easy to search the internet for most anything, choosing a reliable and experienced pool company is where most people worry about making a mistake. 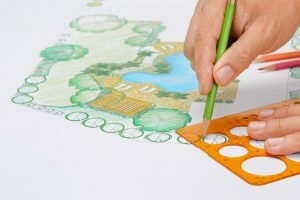 There will most likely be dozens and dozens of pool experts in your area that come up in your search results, but not carefully researching each one you consider can be detrimental to your luxury backyard project. Therefore, hiring true experts is very vital to the success of your pool project. Doing so will help make it possible to avoid experiencing a nightmare instead of fun! Here are the following major pitfalls that you must avoid when looking for a trusted pool builder. During the interview process in the search for a trustworthy pool builder, always ask questions and look for proof to back up their claims. Building a pool in your backyard is not a simple task, let alone a cheap one. So be straightforward in asking questions. If the pool company has truly done an excellent job in providing services that have satisfied previous clients, then providing references to their past work should not be a problem. If they get offended by your questions, chances are they’re not very reliable or trustworthy. Not everyone can invest an unlimited budget on a pool project. Some might be willing to spend more, while some might be on a fixed budget. However, cheaper is not always the best when you are planning to install a swimming pool. If you hire the pool builder with the lowest bid, you may be setting yourself up for a real negative experience full of issues and frustration. You should pay close attention, read the fine print, as well as read between the lines. Carefully consider why they are bidding so much less than their competitors. This agreement will serve as your reference so any confusion and miscommunication will be eliminated before the contractor starts to break ground. It is a huge red flag when pool builders insist that you pay more than 50% of the total cost of the project before they start their work. A dependable company will normally ask for a partial down payment and then ask for additional disbursements throughout the construction process of your swimming pool based on their completed work. Now that you know the common mistakes of homeowners in pool building, you are now ready to hire a responsible pool company. At TLC Outdoor Living, we put our clients first and we take pride in ensuring that our customers are highly satisfied. Contact us now and let us talk about your dream swimming pool.